(GWINNETT-METRO ATLANTA) September 26, 2018 – Partnership Gwinnett, Georgia’s largest local economic development organization, will hold its inaugural North Atlanta Tech Showcase (NATS) on November 1 from 1-6 p.m. at Atlanta Tech Park in Peachtree Corners, Georgia. NATS is the first event of its kind in the region. The event is expected to draw nearly 200 tech entrepreneurs, investors and leaders who will converge and network with promising technology startups. 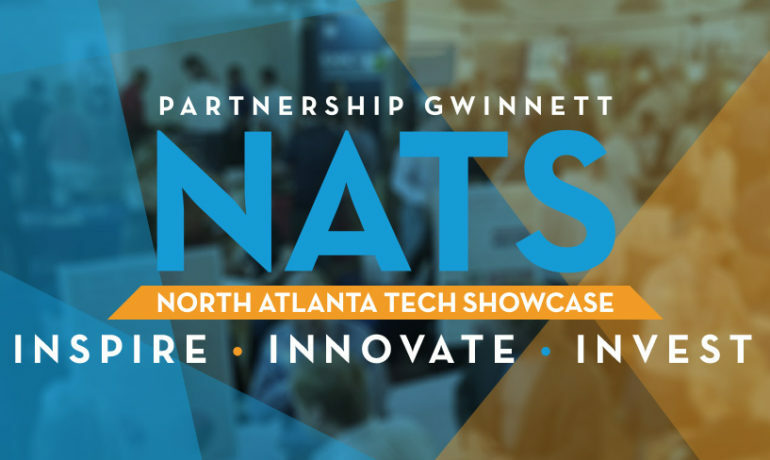 NATS will provide technology startups from the north Atlanta area the opportunity to exhibit their cutting-edge technology to potential investors and industry leaders. Hosted at Atlanta Tech Park, the showcase is expected to draw venture capitalists, investors, influencers and technology enthusiasts from around the region. The half-day program will kick off with a tech startup exhibition, followed by a panel of industry experts who will focus on trending topics in north Atlanta’s technology ecosystem. The event will also feature a keynote address from Richard Cope, CEO of Nanolumens and fast-pitches from select startups. The full schedule can be viewed at www.partnershipgwinnett.com/nats. NATS is sponsored by the City of Peachtree Corners, Spectrum Enterprise, the Gwinnett Angels, Tech CXO, Comcast Business and the Technology Association of Georgia (TAG). For more information on the NATS, or to sign up to sponsor, exhibit, or attend, please visit www.partnershipgwinnett.com/nats. For more information on Partnership Gwinnett, or to learn how to get involved in local community and economic development efforts, please visit www.partnershipgwinnett.com.